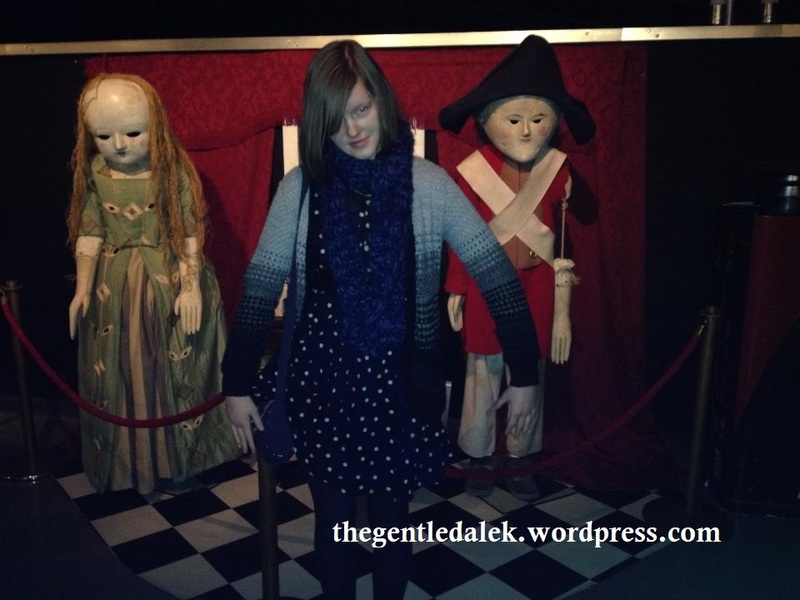 Today I went to the Doctor Who Experience for the third time. The idea had popped into my head the other day when my colleague asked me if I’d been to the experience since the Capaldi props and story had been put in. I realised I hadn’t been yet so today I took a trip to Cardiff Bay (one of my favourite places) and used the last of my birthday money on a ticket (and something in the shop too!). The experience is in two parts: an interactive “adventure” that lasts about 15 – 20 minutes and the exhibition space. You’re not allowed to take any photos of the interactive part but when you are in the exhibition space you can take as many photos as you like. 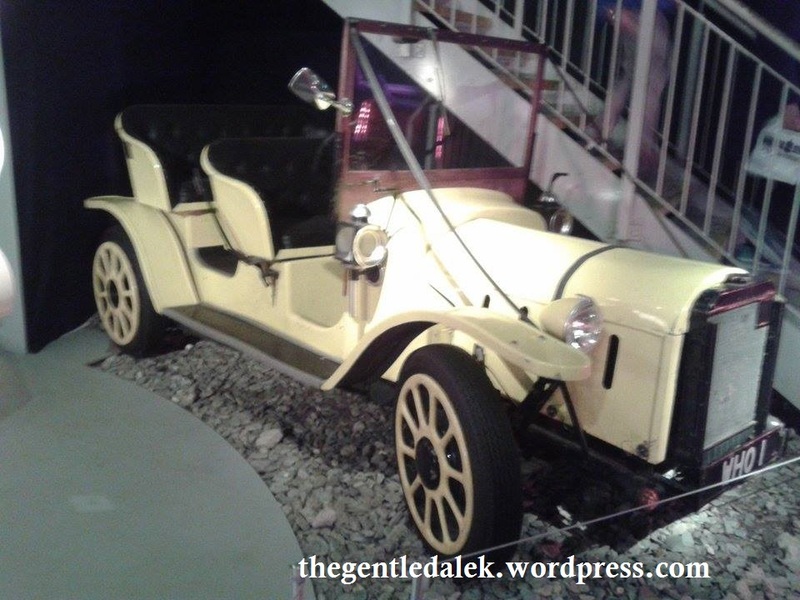 I’m not going to give too much away about the interactive part as I don’t want to spoil it for any readers of my blog who are intending on visiting! I will say that I prefer the story of this interactive adventure better than Matt Smith’s one (and that’s not even me being biased towards Capaldi over Smith – the story flows better in Capaldi’s interactive section). Some sections are similar but there is a nice nod to Classic Who too which I liked. 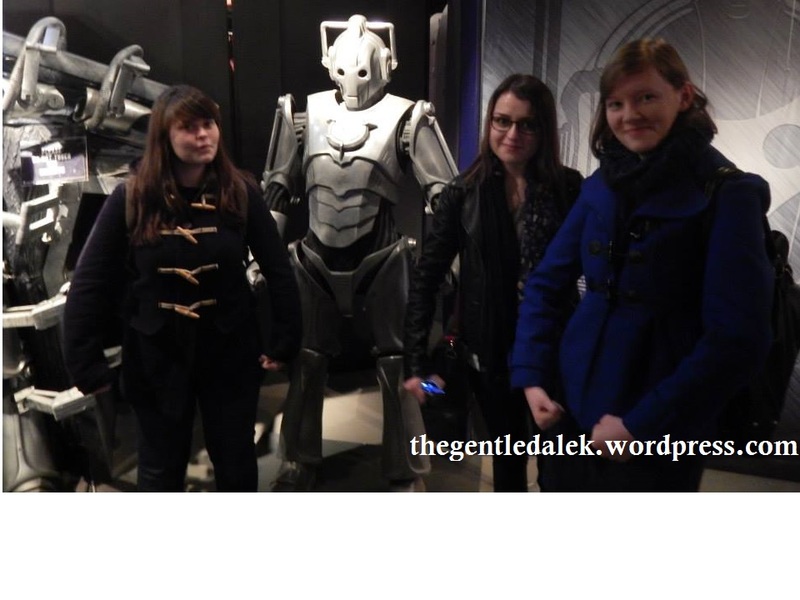 The first time I went to the Doctor Who Experience was for my friend Nia’s 21st birthday. 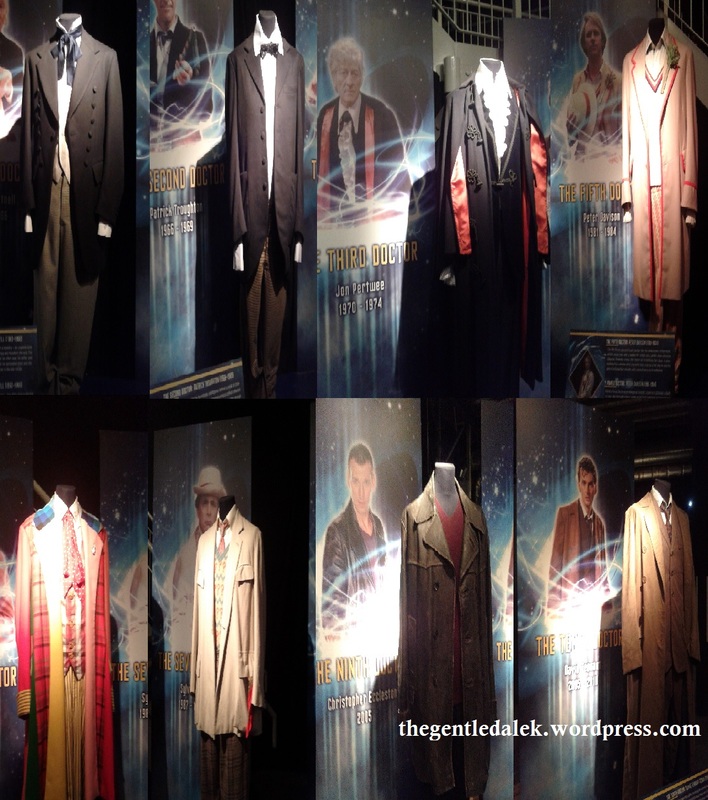 We went on the day of the 50th Anniversary so all the items on display were from New Who (i.e. 2005 onwards) until the 50th. I hope most of these images are clear – I edited some together so I wouldn’t be uploading masses of photos! 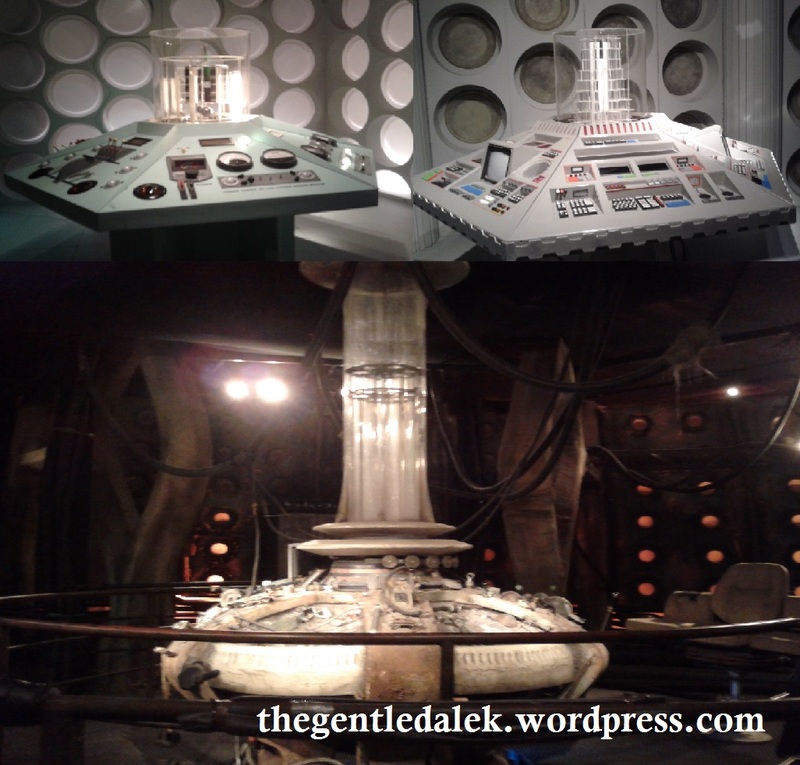 Above are some tardis consoles including the First Doctor’s, Fifth Doctor’s and Ninth Doctor’s. You can actually wander around the ninth console whereas the other two are sort of cordoned off by barriers. I couldn’t quite get all of the outfits as Tom Baker’s and Paul McGann’s seemed very popular so lots of people were in the way when I tried to get photos. Top row left to right: 1st, 2nd, 3rd, 5th Drs. Bottom row left to right: 6th, 7th, 9th, 10th Drs. 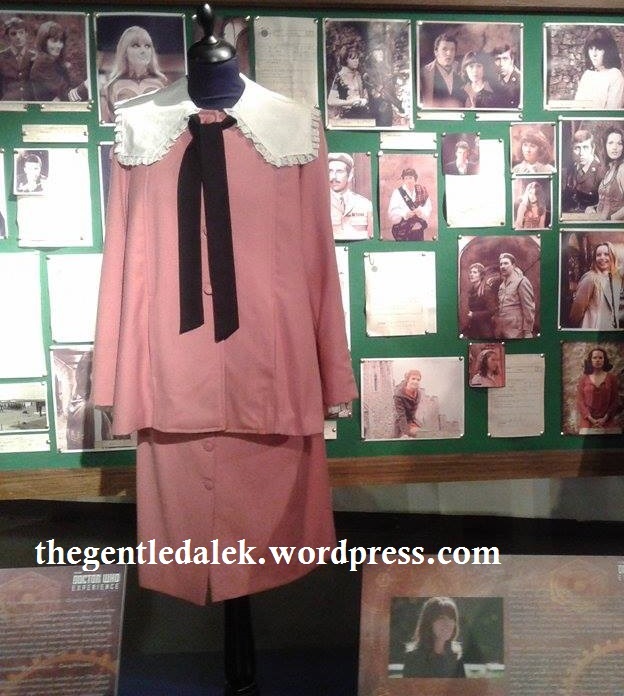 Here are some of the costumes worn by New Who companions Donna, Rose, Jack, Martha and Sarah Jane’s outfit from School Reunion. 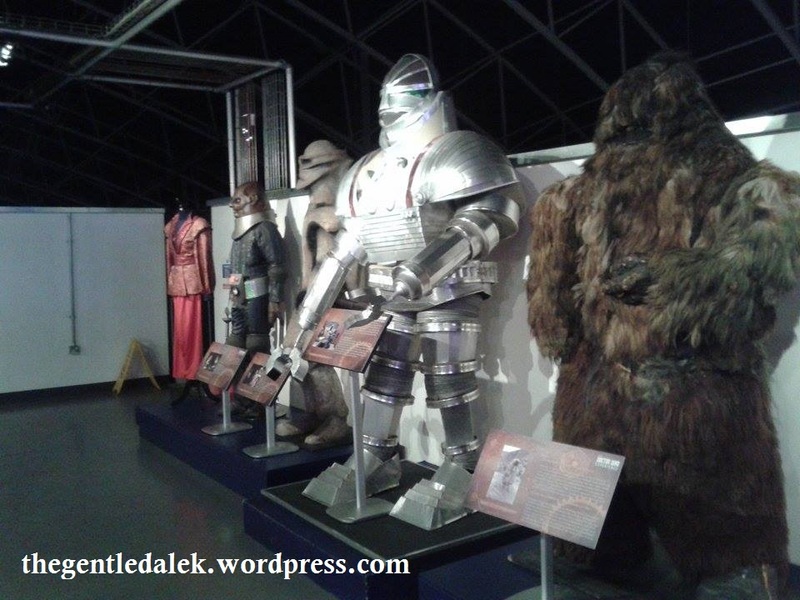 I remember being slightly disappointed that the experience only focussed on New Who but I suppose it makes sense as the experience is in Cardiff so the items are since the series has been filmed here. The second time I visited the experience was on a uni trip in February or March last year for one of my modules called Media and Culture in Wales. This trip was part of lectures on tourism. 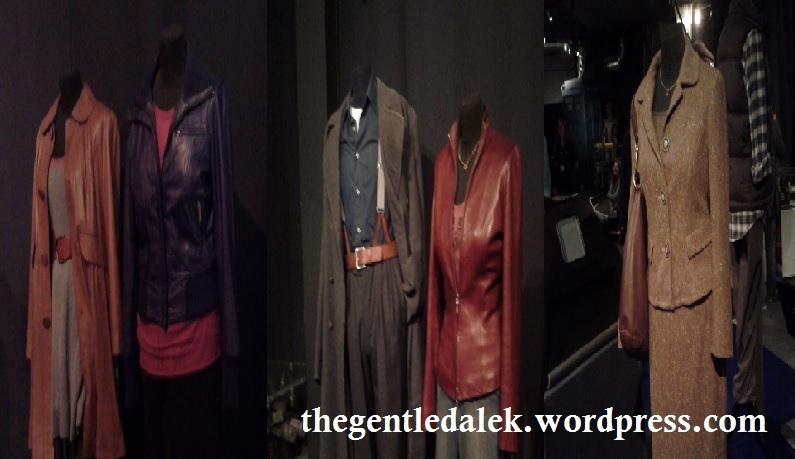 It was still Matt Smith era so the same interactive section as my previous visit and most of the same exhibition items. However, there were a few new ones from Matt Smith episodes and of course items from the 50th anniversary. 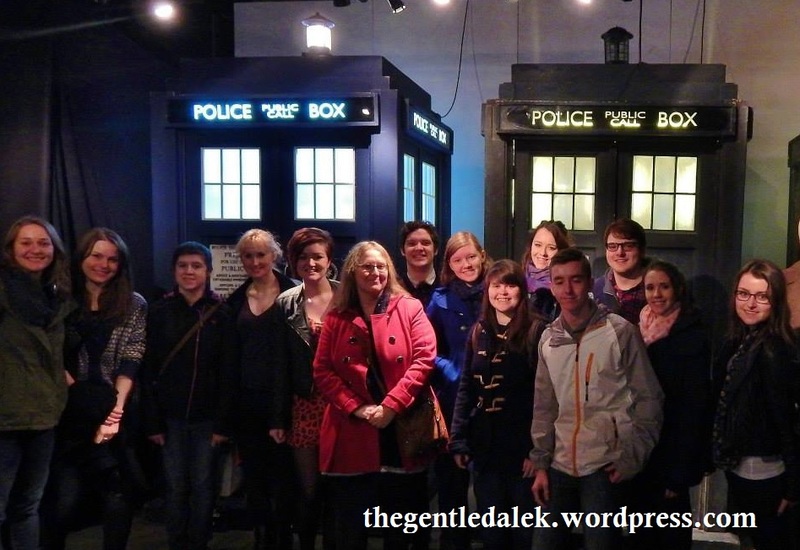 Above is a photo of my wonderful coursemates and my lecturer Rebecca in front of two out of three of the tardises from the 50th anniversary episode. 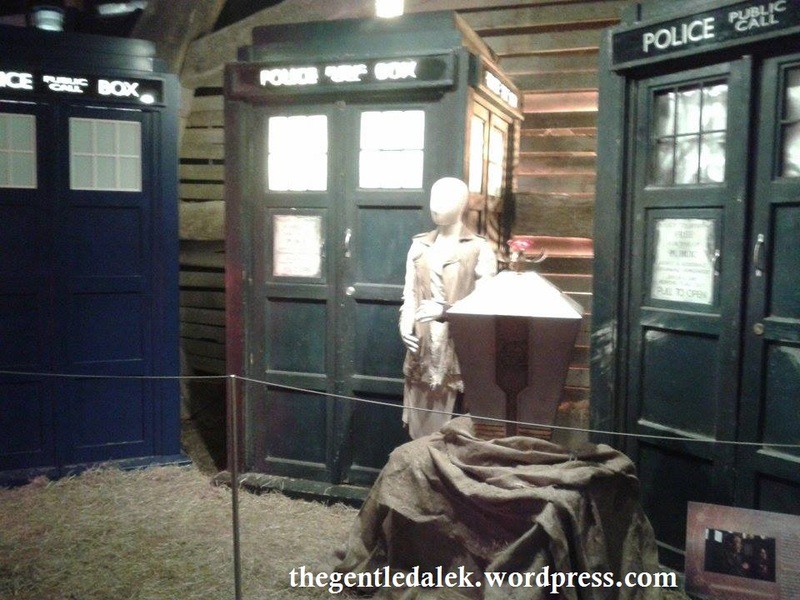 Above are some of the props we saw including K9, the weeping angels and Melody Pond’s crib. 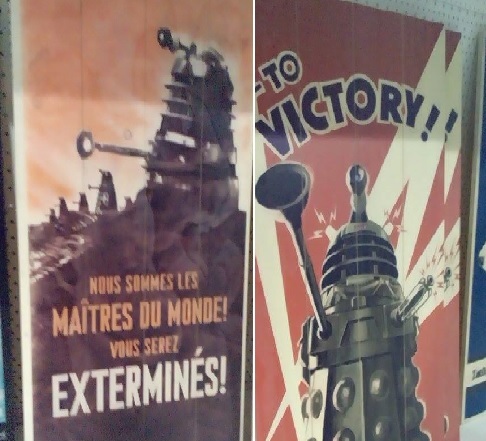 One of my favourite parts of the exhibition was a dalek which is cut in half and you can go behind it and operate the plunger and shooter. I was disappointed that I couldn’t see it on today’s visit as I think it’s a very fun and cool interactive piece of the exhibition space. You may recognise the picture on the right of the above photo as this blog’s header! The third time I visited (today!) 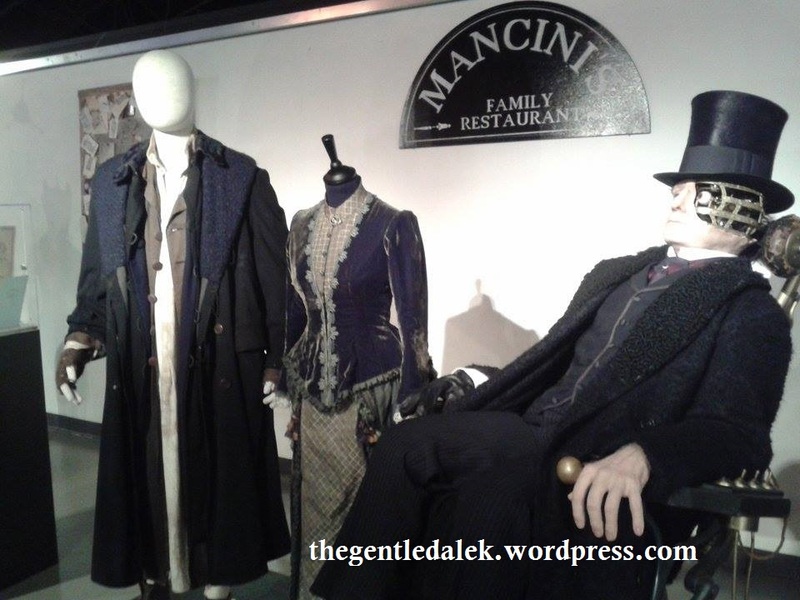 I was impressed by the new interactive section and the exhibition space which had not only been updated with Capaldi episode items but also had some Classic Who props (viva la revival!) and even had the Christmas props in there already! 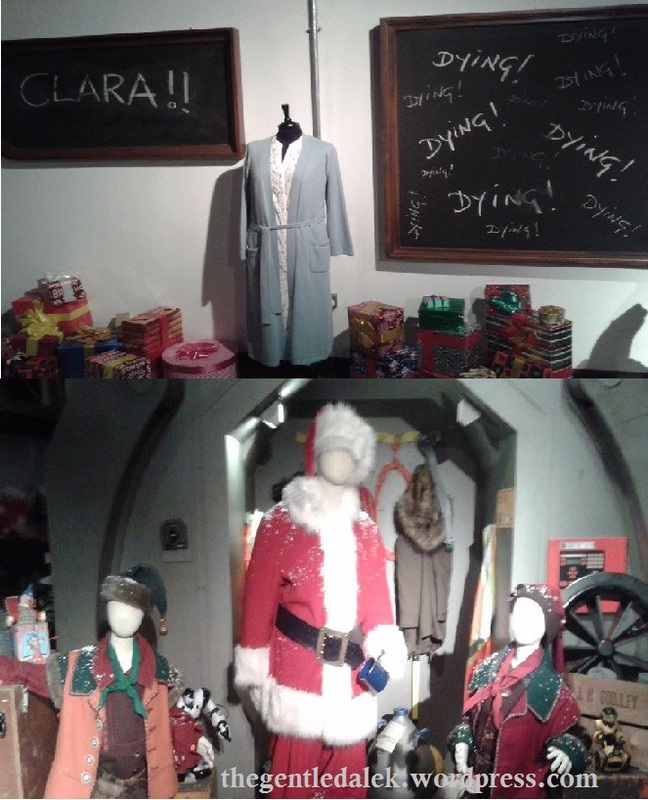 Above are some props and costumes from the 2014 episode ‘Last Christmas’. I like how the costumes and props are not standalone exhibits now and have a scene in the background now to place them better. I think it is a much more effective way of displaying the items. It’s very impressive to see the costumes up close and to see the detail on them! 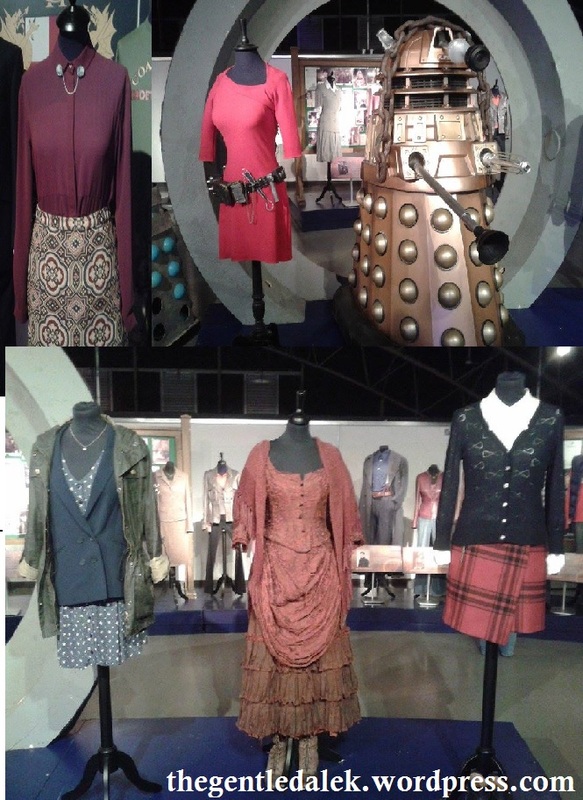 Above are a range of Clara’s costumes including her Victorian outfit from ‘The Snowmen’ and Oswin’s outfit & dalek from ‘Asylum of the Daleks’. 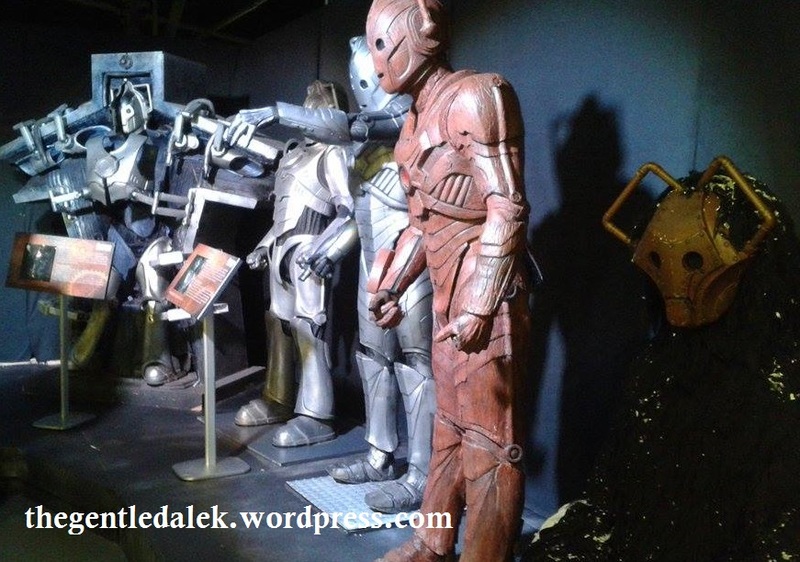 Above are three images of series 8 props and costumes. Again, I love how the scenes are set behind the costumes for each episode. 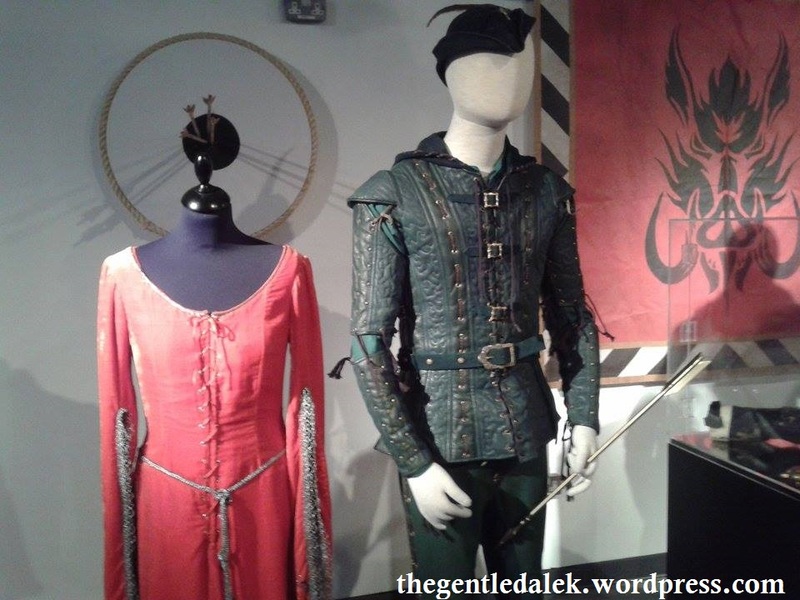 In addition to the Robots of Sherwood image I have included there was the Sheriff of Nottingham’s outfit and one of the robots at the exhibition but I forgot to take a picture. I think Robots of Sherwood is one of my favourite episodes from the last series – possibly because I loved the BBC Robin Hood series so much but it was also a good, funny, light-hearted standalone episode. I’ve included this photo because I thought I had taken a photo of it last March but it seems I hadn’t. The costume of Bad Wolf is exciting for my uni course because one of my coursemates Louise was the body double for Billie Piper for the 50th anniversary episode and wore that costume! Any shot of the back of Billie Piper in the 50th and being chucked out of the barn is actually Louise! 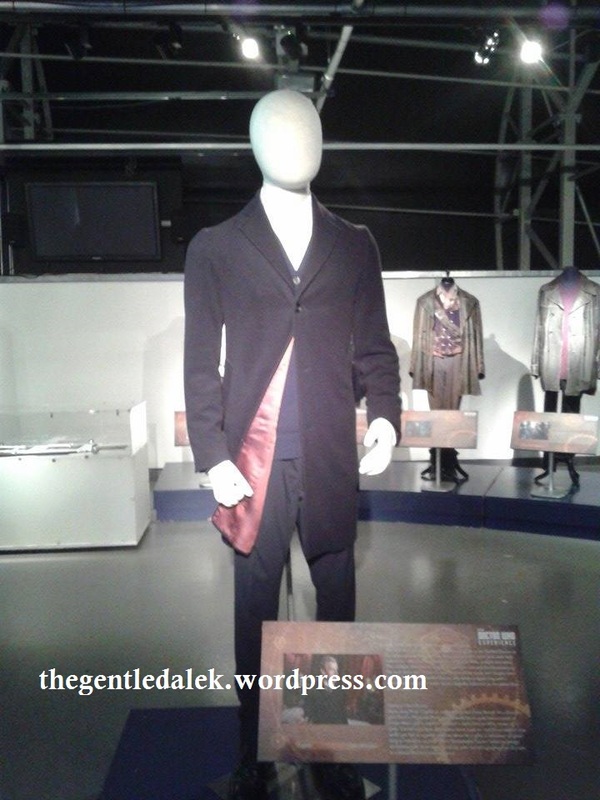 I was so happy to see Classic Who items in the exhibition today. I feel there has been somewhat of a revival of Classic Who recently with hints and themes borrowed from the series in Capaldi’s Doctor and series 8. Sarah Jane’s costume was particularly interesting to me because I was bought The Five Doctors DVD for my birthday by my housemates and have watched it very recently! I also studied her character for my dissertation last year so get a bit over-excited when I see Sarah Jane stuff! 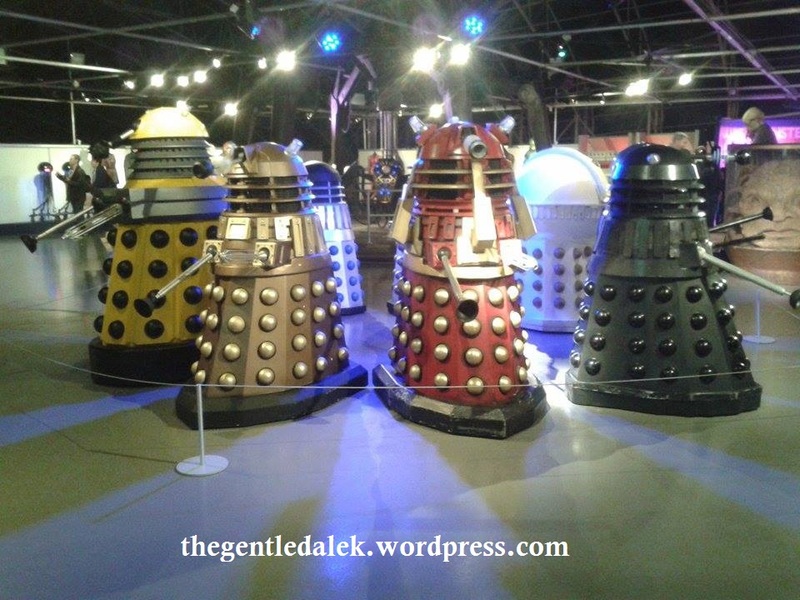 Above are a range of Cybermen and Daleks from over the years! I tried to get as many versions in the photos as possible. I actually spent money in the experience shop today! On my previous visits I have really wanted to buy about half of the shop but everything has usually been too expensive. Luckily some things were in the sale today and I had the very last of my birthday money to spend. I was planning on buying The Three Doctors DVD but I couldn’t see it. The book on the left in the photo above is a little notebook in the style of River Song’s journal that i bought at Cardiff Comic Con a while ago. I divided it into sections and it became my diary for 2014/15. However, it only goes until about June/July this year so I was thinking about getting a new diary as I already have dates after the summer that I need to make a note of. The book on the right of the photo is today’s purchase. 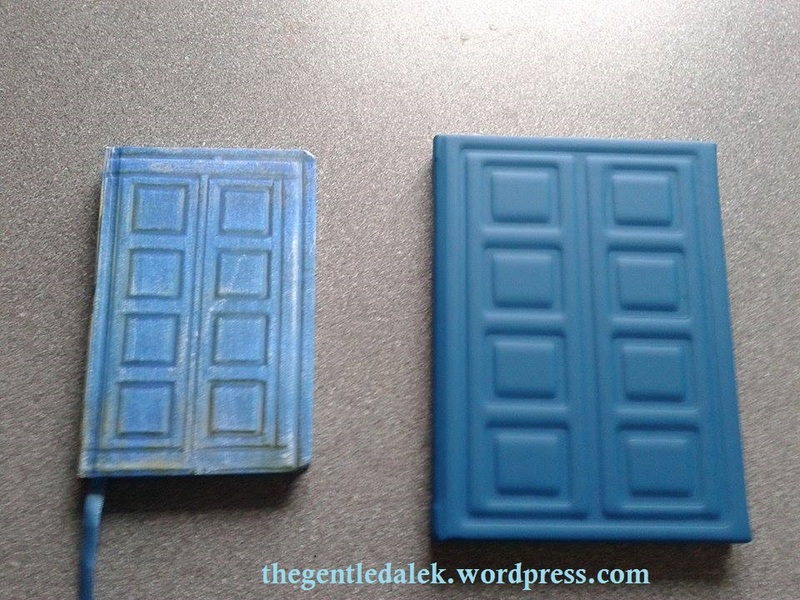 It is, again, in the style of River Song’s journal but is a bit bigger and different material.